The days of metal fillings are gone. No longer must dental patients settle for an unnatural look. At Fischer Family Dentistry, we’ll fill your cavities with as little pain and discomfort as possible. And we’ll make sure they blend in nicely with your natural tooth color. 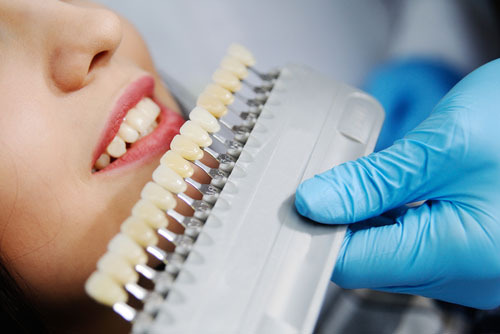 The cosmetic fillings of today are designed to match the color of your teeth. This creates a seamless, youthful appearance. We can make it look like you don’t even have fillings! We can also replace your old fillings with new ones. Metal fillings can be unsightly. Old amalgam fillings can also begin to appear grey over time. This is because they don’t reflect light. 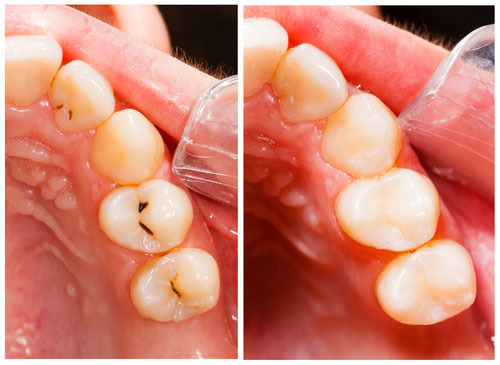 The tooth colored fillings that we use might as well be invisible. If you have a decayed tooth, then you might benefit from this type of filling. We can restore your tooth to its natural lustre. We use resin composites to closely match the color of your teeth. The application is similar to a traditional filling. We’ll remove the decay, then add the composite. Then a special light is applied to cure the material. Finally, we’ll polish the filling to complete the process. With this type of filling, you’ll have a brighter, whiter smile with no trace of cavities or decay. We know that patients don’t exactly look forward to having their cavities filled. Our doctors and hygienists are trained to be gentle. We’ll make sure you’re comfortable, and not feeling any pain. We’ll numb the surrounding area before the procedure. We also offer nitrous oxide to help ease your anxiety. We approach fillings with kindness, and care. After years of experience, we know how to work quickly and thoroughly at the same time.